The New Hermetics. And create the life you were divinely meant to lead! right in & start using these revolutionary tools today! I'll never spam you or sell your information to anyone. Ever. & anything I know that can help you live your life to the fullest! 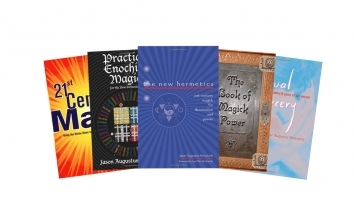 "The New Hermetics have totally transformed my life in the past three years... " R.M. "This class opened up a whole new aspect of reality for me." E.O. 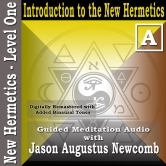 "Checking out the New Hermetics material..and I am totally psyched. This is going to be AMAZING." E.G. "Outstanding workshop where what I learned can be used for a lifetime and immediately." M.H. "You are a great teacher. I appreciate that you tell it like it is, in a positive, motivating way. You combine patience with keeping the class moving. You explain things and then summarize them more than once to help ensure we "get it". 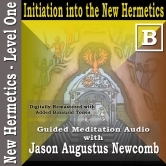 S. S.
The core of The New Hermetics tools is an audio program that is designed to help you relax and move into an altered state in which the unconscious parts of your mind can awaken and become activated. Each recording will teach you a new technique for opening, examining, creating or transforming every part of your life with the power of your mind and consciousness. You will become free of the negative conditioning of a life time of influences from those who would like to keep you inside their little boxes, and you will be free to follow your own consecrated path to fulfill your real destiny! You CAN change your life. Begin today! Some would say Jason Augustus Newcomb is a naturally gifted Master of the Mind. His dedicated and tenacious search has resulted in the ground-breaking methods to open up deeper levels of consciousness that have been his life's work. Jason Augustus Newcomb has been a professional hypnotist for nearly 20 years. His numerous published works through Weiser Books (now Red Wheel Weiser) launched him into the world on a massive scale. Since then, he's engineered and published over 250 audio and visual works. He is a scholar of religious philosophies, giving him the ability to connect with anyone from any background. And his great sense of humor allows him to not only change the lives of others through practical exercises in consciousness, but also through modes of entertainment. In fact, he's entertained celebrities and executives as a "psychic" consultant at Hollywood corporate events. Jason Augustus Newcomb is a father of three, married to the love of his life for over a decade. He understands the delicate balance each area of one's life demands: the physical, the emotional life, the mental life, the creative life and the spiritual life. Sign up & receive the first two MP3s of the system that gets results TODAY. 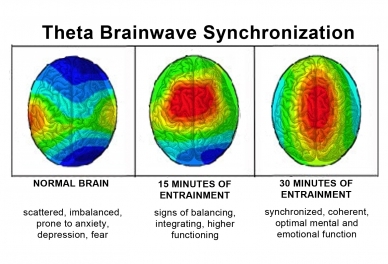 Each recording is embedded with binaural sonic frequencies at specific tones and intervals that are designed to produce a whole brain entrainment and synchronization to produce more coherent thinking, deeper thought and improved mental focus and performance. The first two recordings in level one will begin the path toward transformation and enlightenment. The first will teach you a simple meditation method for quickly entering the altered state, how to sit, and several energy techniques that open you to bliss. The second is an initiation based on the multiple mind concepts of developmental psychology in which you will begin in fear-based physical awareness, then you will move to sensual awareness, then power awareness, then social awareness, caring awareness, and several layers moving toward enlightenment until you will be placed into the enlightened ground of awareness itself. I know this sounds amazing. So try it for yourself!